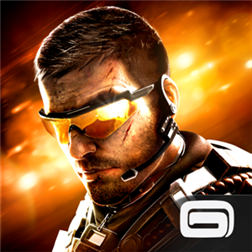 Out now is the much anticipated Modern Combat 5: Blackout, presented by Gameloft! Check out the hit FPS series that has all mobile gamers on edge! Check out the trailer or head past the break to download today! Step into the action as the latest instalment in the best FPS series raises the bar for shooter games once more! Create a squad, add your friends and test your individual and team skills against other squads! IMPORTANT• Modern Combat 5 requires an Internet connection.